Dr. Tompkins joined our practice in July of 1999. He received his undergraduate degree from Miami University in Oxford, Ohio, and his MD degree from The Ohio State University College of Medicine. 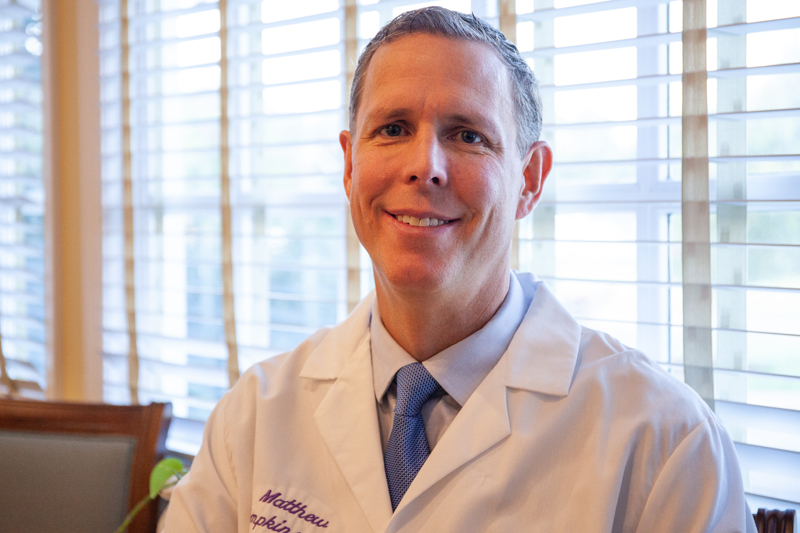 He completed his OB/GYN residency at the University of Virginia, and is Board Certified in the practice of Obstetrics/Gynecology. Dr. Tompkins is also the only board certified practitioner in Lynchburg for female pelvic medicine and reconstructive surgery (urogynecology.) He specializes in pelvic reconstructive surgery, incontinence, ultrasound and robotic surgery. He and his wife enjoy spending time with their three children, skiing, swimming and cheering on the Ohio State University football team.